Although not a half marathon, it is a very popular race in Edinburgh. 13.1 Kilometers starting from Ocean Terminal to Murrayfield stadium. Most of the route is through cycle paths. Slightly uphill all the way. 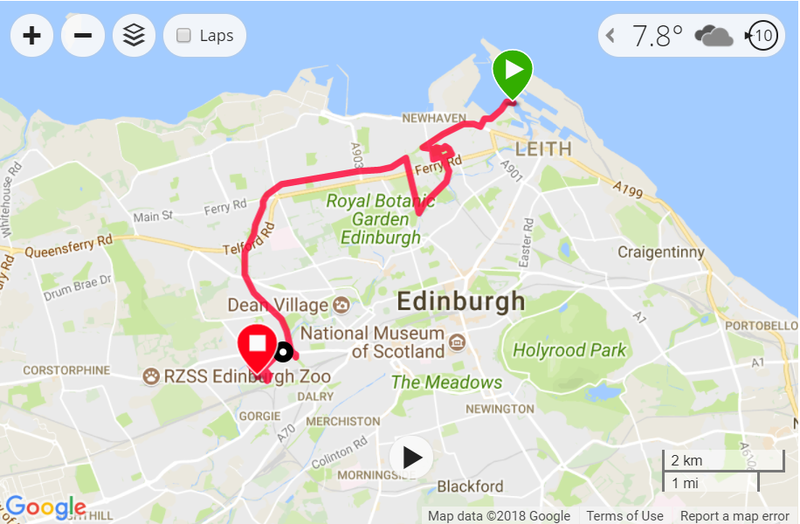 The two annoying bits are between 2nd and 3rd km where you have to go through all the paths of a park and the last bit at Murrayfield where you have an extra kilometer around the stadium. the video of the route. A km is not recorded and I dont know why. Landscape : 5/10 Through parks in the city. Nice but not special.